Clover Chemicals Limited will close for Christmas on Monday 24th December 2018 at 5pm. We will then re-open on Wednesday 2nd January 2019 at 8am. For customers in the mainland UK wishing to receive deliveries before Christmas please ensure that you place any orders before 5pm on Monday 10th December 2018. This date assumes that you will be available to take deliveries up-to and including Friday 21st December 2018. We will endeavour to get orders placed after this date assembled and despatched for pre-Christmas delivery. For customers outside of the mainland UK please ensure that orders are placed before 5pm on Wednesday 5th December 2018. This date assumes that you will be available to take deliveries up-to and including Friday 21st December 2018. For collection orders required before the Christmas break please ensure that the order is placed before close of business on Wednesday 12th December 2018. 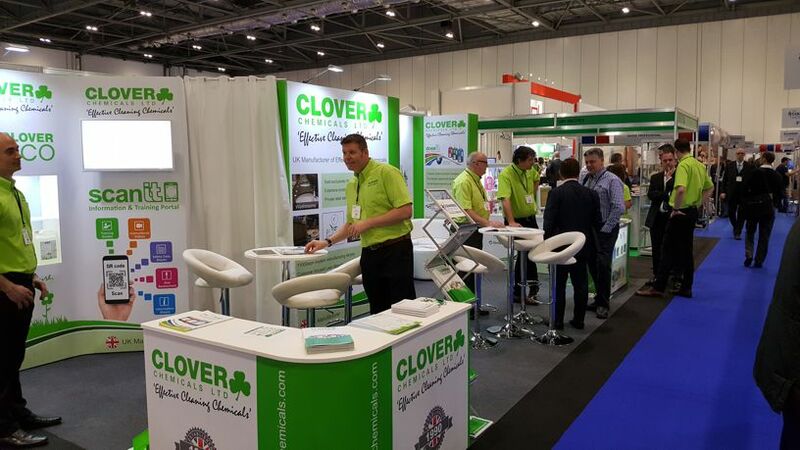 On behalf of everyone at Clover Chemicals I would like to thank you for your support during the past year and wish you a prosperous new year. We are pleased to announce that we are launching a new formula for our Laundry Destainer, which will be phased in during January 2018. The new formulation will show improved stain removal, along with improved brightening of whites, particularly bed linen and towels. The new formulation follows significant research into stain removal and, due to increasing demands to deliver high quality laundry (often in under-resourced laundry operations) we feel that the change in formulation and enhanced performance will help our continued growth in this market sector. Due to low off-take on this product and pack size combination, coupled with the shorter shelf life (as the product is chlorinated), we have taken the commercial decision to discontinue Trak in a 1 x 10ltr pack. This change will take place during January 2018, once existing stock is sold. The product will remain available in the 2 x 5ltr and 1 x 20ltr packs. Detak is now available in a new 300ml Clear PET bottle with a flip-spout cap. This packaging change offers good presentation and excellent chemical resistance. BUSTER EXTRA has been re-formulated to comply with future legislation. Plastic polybeads have been removed from the formulation. We have replaced them with new scrubbing agents, to ensure that the formulation remains compliant with all future UK and EU legislation, including legislation applicable to cosmetic products. MetaGlynt is now available in a new 300ml Black PET bottle with a flip-spout cap. This packaging change offers good presentation and excellent chemical resistance. CREAM CLEANER is now available in a new 300ml Black PET bottle with a flip-spout cap. This packaging change offers good presentation and excellent chemical resistance. 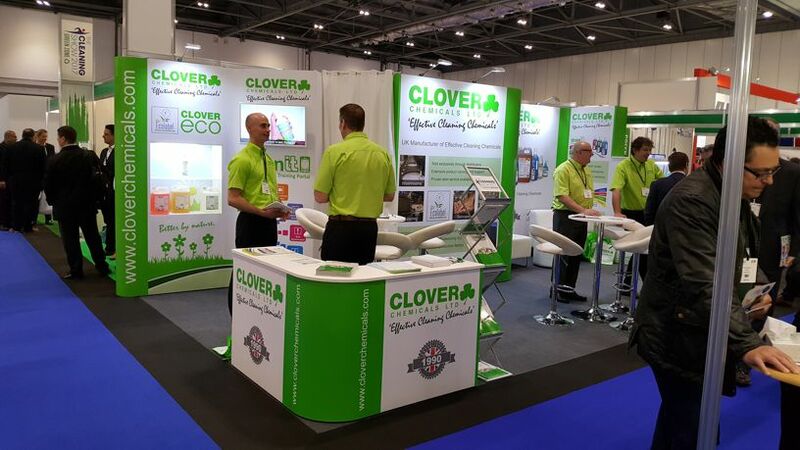 Clover Chemicals at the Cleaning Show Exhibition in London! Clover Chemicals Limited will close for Christmas on Friday 23rd December 2016 at 4.30pm. We will then re-open on Tuesday 3rd January 2017 at 8am. For customers in the mainland UK wishing to receive deliveries before Christmas please ensure that you place any orders before 5pm on Monday 12th December 2016. This date assumes that you will be available to take deliveries up-to and including Friday 23rd December 2016. We will endeavour to get orders placed after this date assembled and despatched for pre-Christmas delivery. For customers outside of the mainland UK please ensure that orders are placed before 5pm on Wednesday 7th December 2016. This date assumes that you will be available to take deliveries up-to and including Friday 23rd December 2016. For collection orders required before the Christmas break please ensure that the order is placed before close of business on Wednesday 14th December 2016. Customers requiring goods very early in January (i.e. from 5th January 2017 onwards) should ensure forward orders are placed by close of business on Wednesday 14th December, specifying January delivery. NB Orders placed in December that are requested for January delivery will not be invoiced until January. 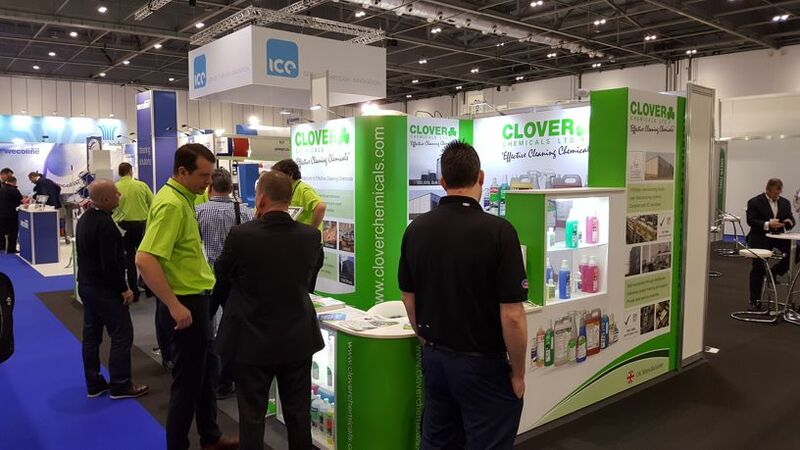 On behalf of everyone at Clover Chemicals I would like to thank you for your support during the past year and wish you a prosperous new year. 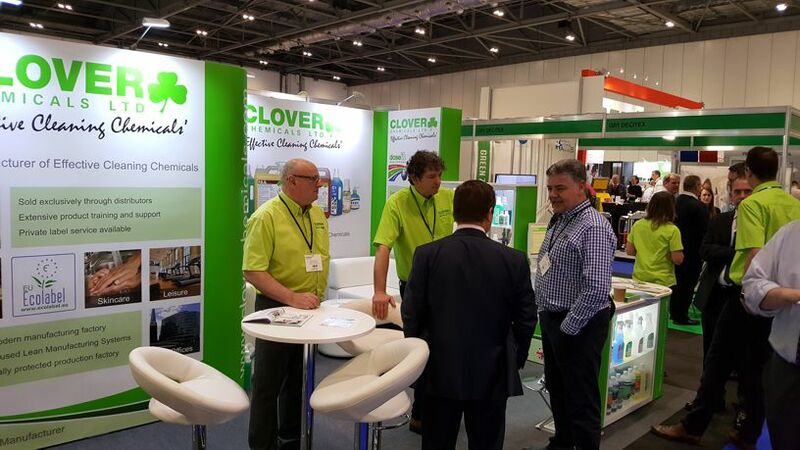 Join us at The Cleaning Show 2017 in London from the 14th to the 16th March. We will be located in the GREEN zone, stand GR2.